When asked, if their symptoms are constant or intermittent, many patients think their symptoms are constant. True constant, and perceived constant is an important difference. 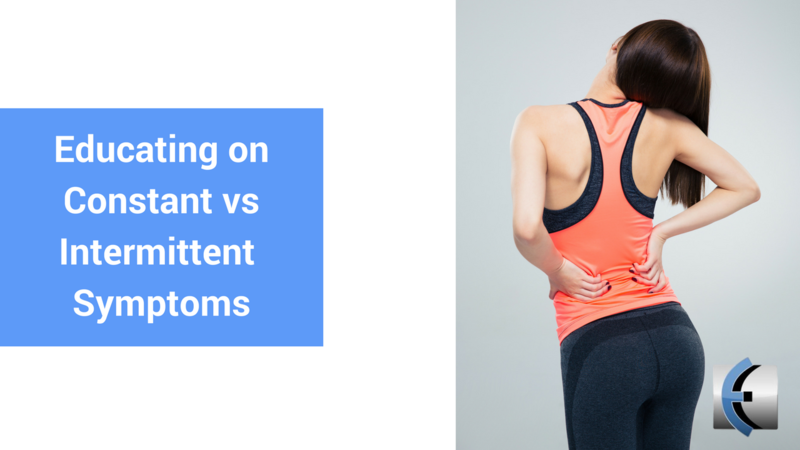 Having intermittent pain or symptoms often tells us as clinicians there are times, positions, and activities that the nervous system does not find threatening. This usually means that the patient will be a Rapid Responder. Even getting a patient to realize this, and telling them, "If your symptoms are intermittent, chances are you fall into a category where you can get rapid return of function and improvement in pain," may be game changing. Using positive language and setting patient expectation for return of function, instead of making everything about what they can't/shouldn't do, focus on regaining function and a positive attitude toward recovery.